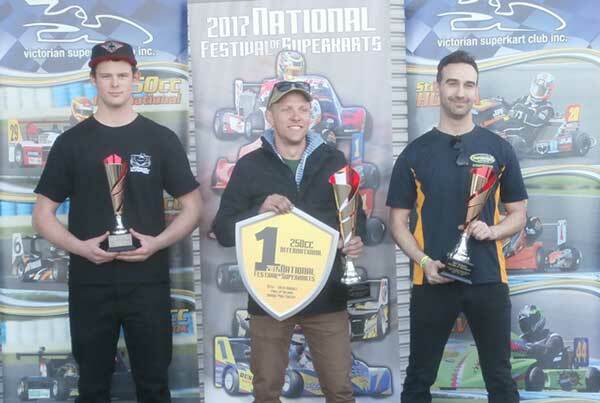 The 2017 National Festival of Superkarts has been run and won over the weekend of August 19 & 20 at the Phillip Island Grand Prix Circuit. 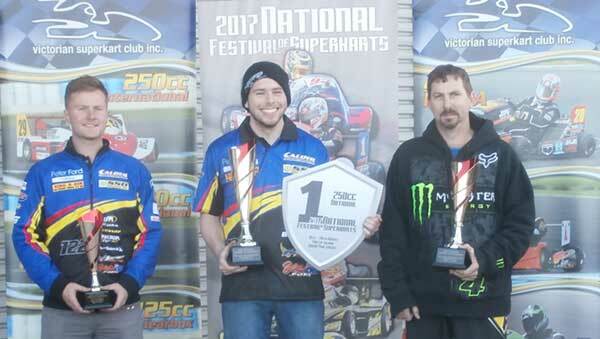 Seventy odd drivers from all five states that race Superkarts took part in what was the largest gathering of its kind for many years, making this a true National event. 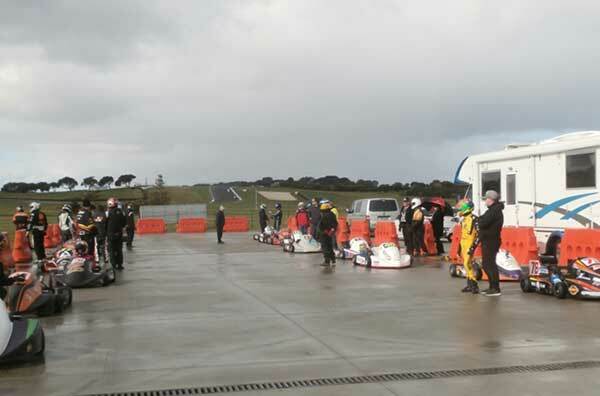 In typical Melbourne fashion, the weather was unpredictable with showers on and off during the Saturday but improving all day Sunday – as were the lap times. The record in 250 International class came close to being reset by current holder Russell Jamieson from Queensland who has it at 1:28.4199. 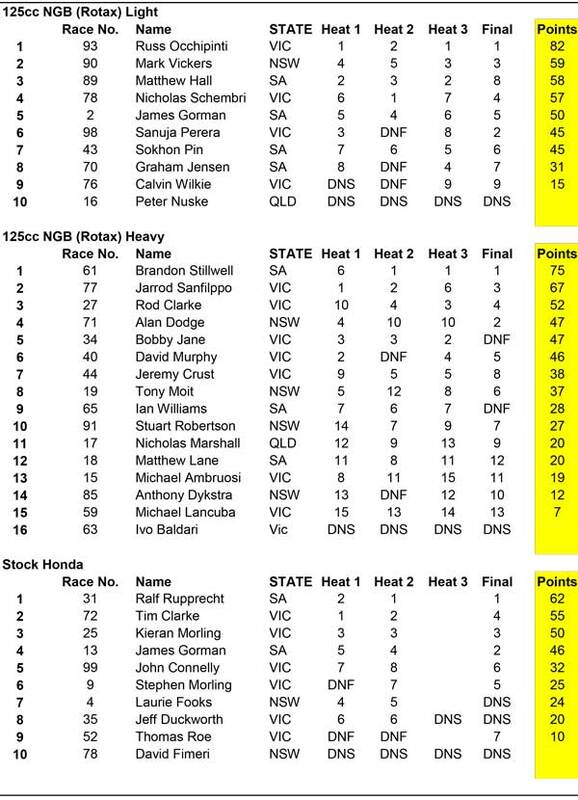 But it was with Non-Gearbox (Rotax) Heavy David Murphy (Victoria) who set a new time of 1:56.3294 in his class for the 4.1 km circuit. 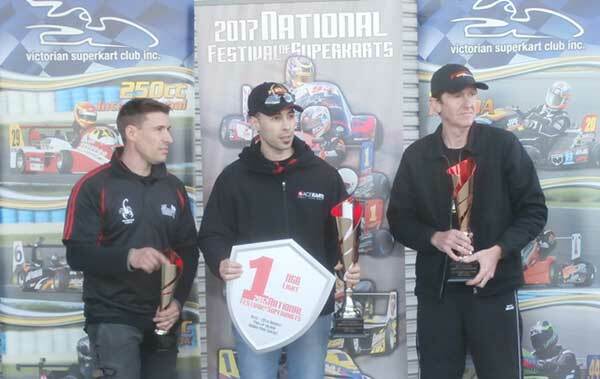 The stars of the weekend were Nicholas Schembri in his first ever appearance in a Superkart (missing a podium position by only one point) and Jamie Macdonald who started in Superkarts as a junior and is now racing a 250 International, picking up a third place ahead of some very well seasoned drivers. Tyler Williams, also a former junior, took home a win over team mate and current European Championship contender, Jordan Ford. 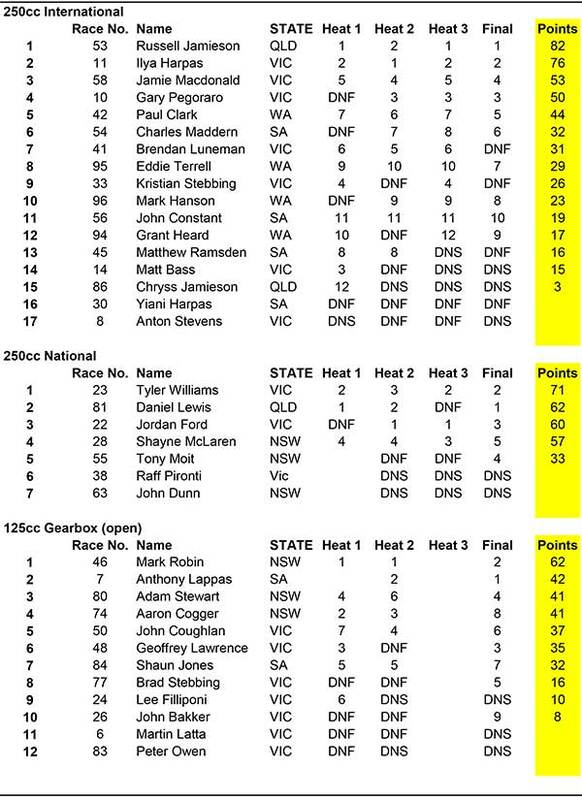 Race three of the 125cc Gearbox and Stock Honda class came to an abrupt halt on the opening lap when NSW driver Laurie Fooks was tagged from behind coming onto the main straight at over 160 kph. Fooks and the pit lane wall met to the sickening thud of Fibreglass and steel. Before assistance could reach him, Laurie was out of the kart and through the crash fence much to the applause of the spectators. This ended Laurie’s good run for the weekend and thankfully he sustained only bruising. The race was declared and no one was awarded points. Overall the racing was very clean and close all weekend over all the classes, as reported by the podium finishers during presentations. Many drivers had their share of ups and downs over the two days. Engine issues plagued Anton Stevens, who returned to Melbourne to repair an engine, only to have it all go bad again. Bobby Jane had a podium spot in his hands until a bolt on his steering fell out and dispatched him into the grass at turn 10. David Murphy experienced a DNF in the final which took him out of the running for a podium despite being very quick and the pole sitter. 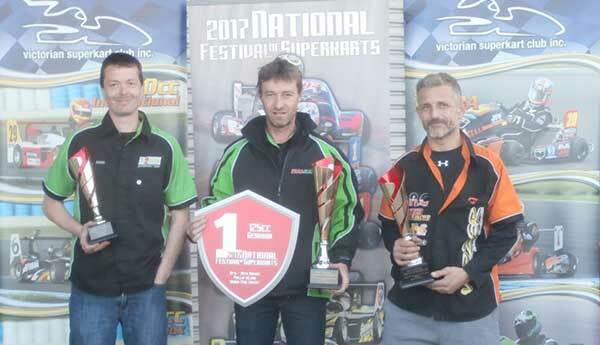 It was really only the winners of each class that had the necessary result to keep the rest at bay as this event that drew the very best drivers from all over the country. 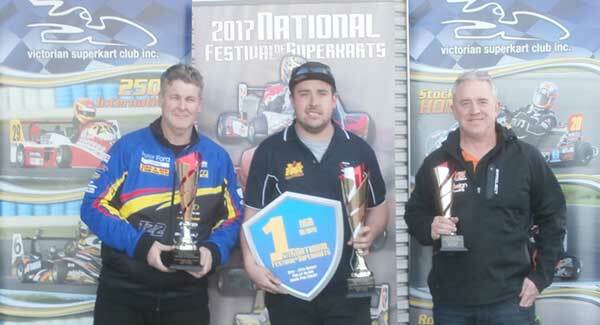 The Victorian Superkart Club firstly thanks the drivers for entering this event; we hope to see you next year. 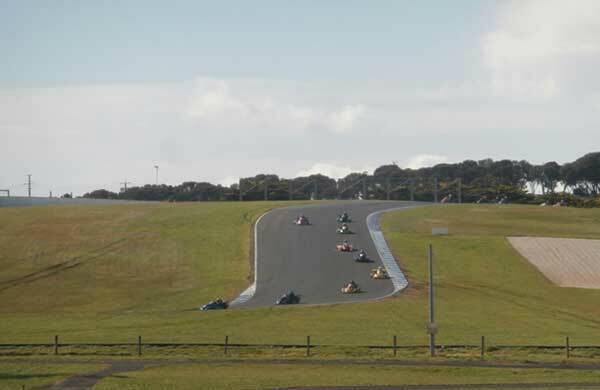 We also thank the Phillip Island Auto Racing Club (P.I.A.R.C) for hosting us at August Access, The Western Australian Superkart Club, Adelaide Superkart Club and Queensland Superkart Club for their support and encouragement. 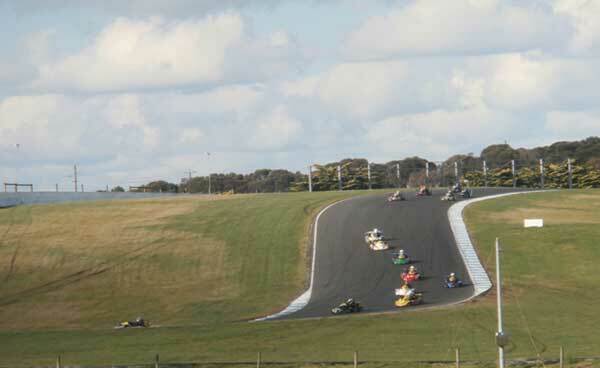 The next event for Superkarts in Victoria will be Round six of the Club series at Winton Motor Raceway on September 23. Come on up for a look!